TruTech Tools was founded as a retirement hobby for James C. Bergmann (Jim Sr.) who worked with his son, James L. Bergmann (Jim, Jr.), in product selection, establishing a website and online advertising. Both father and son have racked up decades of experience as HVAC technicians and in HVAC supply house distribution. Jim, Jr. is also trained and employed as an award-winning, secondary school HVAC instructor, with a degree in Mechanical Engineering Technology and experience gained in naval service. Jim, Jr. is also a science buff always striving to understand the underlying physics of a problem, the process and the solution. The company was housed at the time in Jim Sr.’s spare bedroom in Richfield, OH! Yet, the company’s first year sales amounted to a tidy sum for a fledgling startup and consisting mostly of Testo brand products. TruTech was founded on and has continued to focus on understanding, pre-selecting and delivering the very best measurement tools and support to our customers. “We knew in our hearts there were other contractors out there who shared our passion for proper systems installation and maintenance, and that’s exactly who we started to do business with,” says Jim, Sr.
Before business start- up, Jim, Jr. was employed by Testo, Inc. as a part time technical adviser. 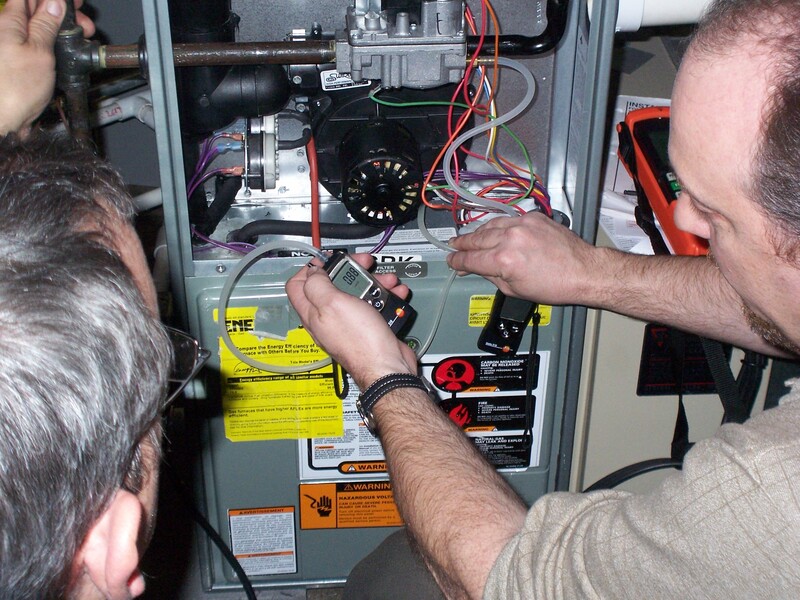 Father and son put to use their hands-on knowledge of HVAC testing (and later energy auditing) to deliver remarkable customer service and support, pre and post- sale, as well as sage equipment/troubleshooting advice. These activities established the very strong reputation that TruTech continues to enjoy for our in-depth product knowledge and unrivaled technical support. Jim, Jr.’s wife Robin assisted with all facets of the operation from the beginning: answering the phone, ordering products, maintaining inventory, receiving, packing, shipping and especially, accounting. In 2008, TruTech began to focus more on products related to the emerging energy efficiency markets, connected with several larger customers and organizations and began to attend key tradeshows. As 2008 came to a close, TruTech’s sales had grown over 1000% and the product mix had expanded to 10 manufacturers. The company moved out of James Sr.’s bedroom to his converted garage in and just a couple months to a rented house, then on to an office suite on Swartz Rd., where it expanded twice over the years. Bill Spohn worked for Testo as product marketing manager for 10 years. Previously he worked in multiple engineering roles: Quality Control, Design, R&D and Manufacturing, as well as a business unit manager and director of strategic planning. Bill holds BS and MS degrees in engineering, a Professional Engineering license and has served as an expert technical witness. Bill had always wanted to own and run his own business. He is active on several national technical committees and holds three US patents. In early 2009, TruTech invited Bill to join as a member of the company, take on the full time role as general manager and apply his talents, connections and experience to growing the company. Bill amicably left Testo in February 2009 and immediately started with TruTech Tools. “I recognized the Bergmanns’ expertise the first time I met them, and knew immediately that their talents would be extremely valuable to the Building Performance community as well as the HVAC market,” says Spohn. Business continued to grow in early 2009 as the company improved its understanding of internet marketing. 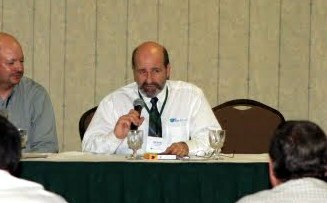 Bill worked the phones, tradeshows, and contacts as well as developed and executed marketing plans. In Mid-2009, as business continued to pick up, a fulltime shipper/receiver (Bill Sutherland) and a fulltime sales manager (Eric Preston) came aboard. 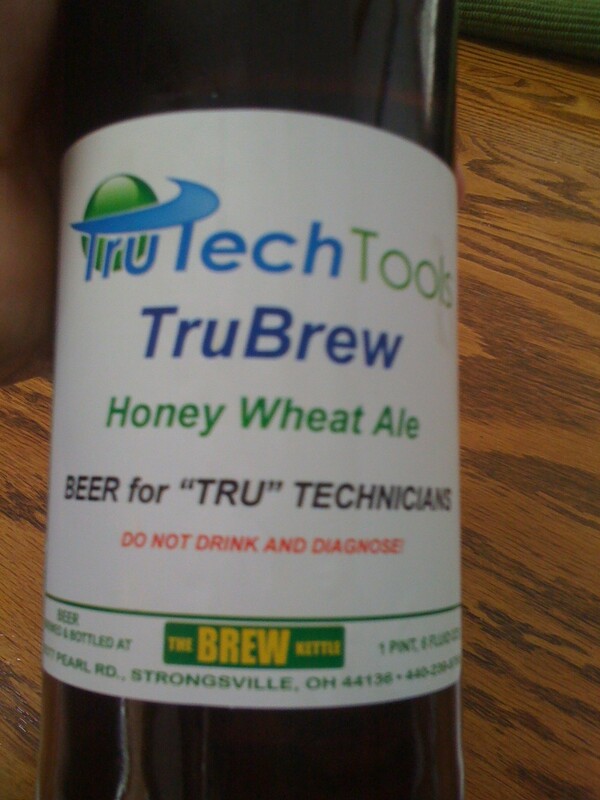 In addition to the birth of TruBrew Beer, 2009 closed with sales up well over 200% and the addition of many new product lines which sprung out of combinations of relationships, research, customer request and market/internet presence. Robin now took on the fulltime roles of office and financial management. Through 2010, Eric excelled in his understanding of the product lines, and he and Bill Sutherland took part in technical training offered by Bill, Jim, Jr. and outside organizations. Bill drew upon past experiences and new technologies as he continued to work on systems, procedures and policies to create a lean, flexible and nimble organization that communicates rapidly and effectively. Jim, Jr. spearheaded a transition to a more robust and effective web-cart system, while Bill moved the company into virtual communications and accounting systems. Bill’s wife, Marilyn, joined the company in early 2010 to take on some of the growing administrative tasks. 2010 drew to a close with almost 30 product lines available and sales up 20%. In 2011, we began the year with Jim, Jr. officially joining TruTech as he left Testo. We created our first formal marketing plan by engaging part time Marketing Consultant, Susan McKee. Susan continues to bring keen perspectives from previous experience in consumer marketing allowing Bill to focus on improving operations, evaluating metrics, responding to opportunities and growth. 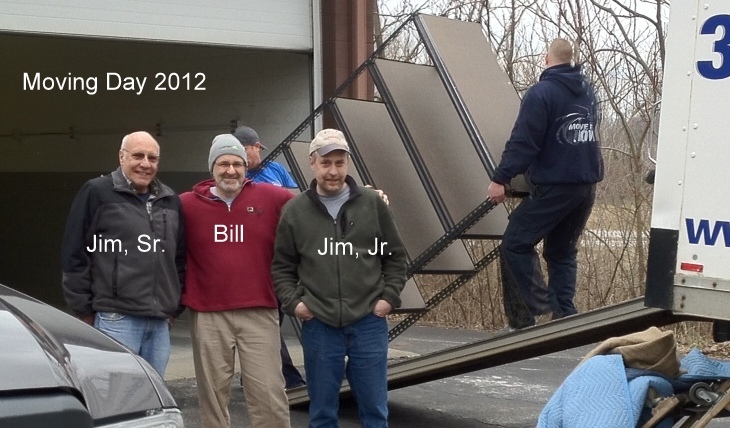 Our goal for 2011 was to let the world know that Jim, Jr. was now directly associated with TruTech. We accomplished this through press releases, Jim, Jr.’s online and magazine writing, technical videos, as well as hosting our first week long training seminar, the TruTech eXpo, where we welcomed 70 attendees to the Cuyahoga Valley Career Center in Brecksville for a four day lecture and hands on lab/conference and training event. Very positive feedback from the eXpo convinced us to host a second conference in 2012 and add live training to our own product line. We now regularly host free webinars for our customers on combustion analysis and thermography with more topics to come. Jim Jr. notes, “I really enjoy seeing the expression on a technician’s face when they finally grasp a concept that had for years eluded them.” Jim, Jr. also performs corporate training with rave reviews from influential groups in all parts of the county. We stay in close contact with our customers by attending and presenting at tradeshows nation-wide and are constantly evolving the content of our website to enrich the customer experience. 2011 ended with sales up 35%. Our website underwent a comprehensive overhaul as 2012 began, including enhanced graphics, easier searches and more comprehensive tools and training content. Our physical office moved to a much larger facility on Turkey Foot Lake Rd in Akron to accommodate our growth and a state of the art calibration and repair lab launched in April and manned by Bill Sutherland. 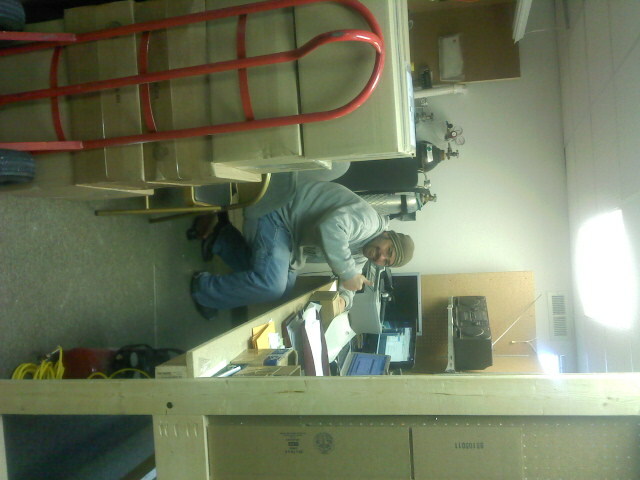 Coincidentally, our fifth full time employee, Josh Crawley, will join us on April 23, 2012, our 5 year anniversary. We are very excited about the prospects that the future holds for TruTech Tools. As we cross the critical 5 year benchmark for small businesses, we look back with pride. “We knew there were customers out there, people who valued expertise in measurement science and had our shared commitment to getting the job done right the first time,” notes Spohn. Look like we were right! Thank you for being a part of our journey. A big thanks to Chad A. our first customer who got us started on April 23, 2007. Congratulations on your 5th anniversary. I’d like to say thank you for your continuous support on our products. 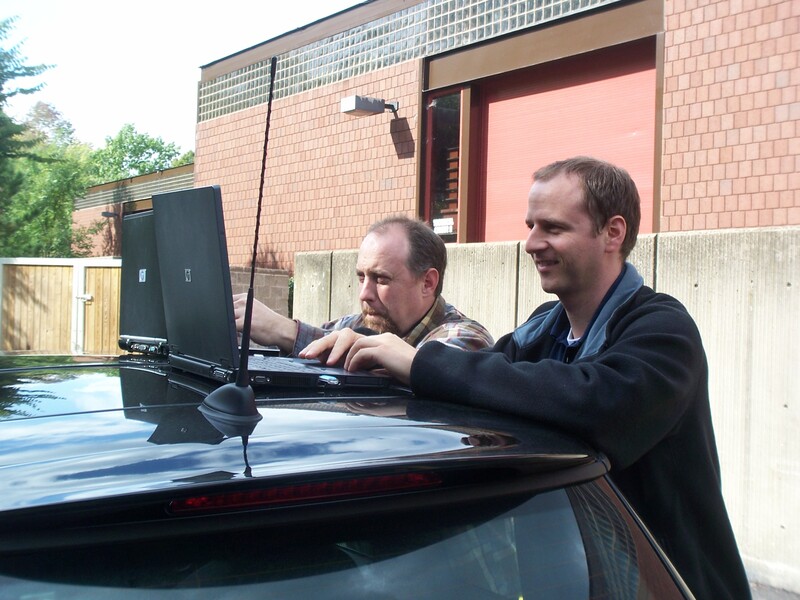 It put a smile on my face when I saw the picture with me and Jim working our laptops on the roof of Jim’s Mini Cooper 🙂 This was in the early days of TTT I think somewhere in summer of 2007. By the way: I have my 5th anniversary at Testo too! All the best for the next 5 years. That photo made me smile, too! Congratulations on your fifth and many more good years to follow! TruTechGuy · Quality Tools. Essential Support.